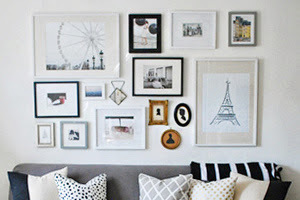 When West Elm asked if I'd curate an Etsy sale at their Chicago location, I jumped at the opportunity! There are so many great Chicago artisans on the site, and it's a wonderful collaboration for West Elm to bring these merchants into the local store. 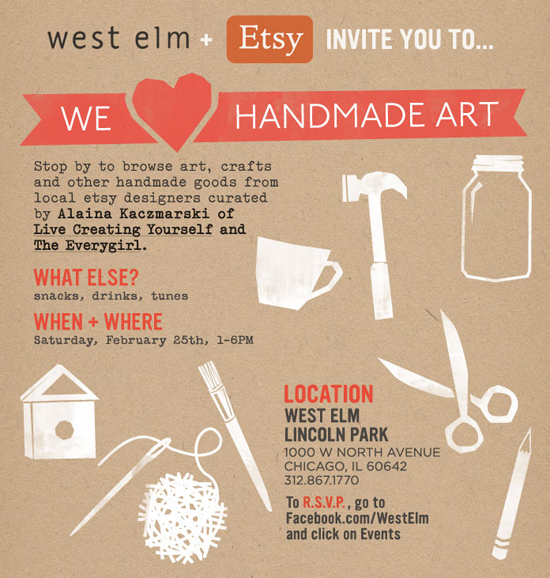 So join me and the thirteen Etsy shop owners on Saturday, February 25 from 1pm to 6pm! It should be a great time with music, snacks, and mingling! What a great opportunity! 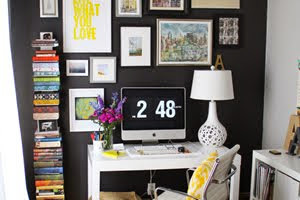 Not in Chicago, but I will definitely be checking out these shops online. Congrats - this is such a fabulous opportunity! See you there! I wish I was in the the Windy City to come and cheer you on! Ooh, count me in! Looking forward to it, and looking forward to meeting you! Gorgeous, all of it! Wish I could be there. My favorite is the stationery! sounds amazing! wish i was going to be in town! Ill definitely have to check these sellers out online though. How exciting! I am definitely going to try to check it out. Woohoo! I'm super excited to be a part of this group! I was at the etsy event at West Elm in December and it was fun. Please come stop by my booth and say HI!